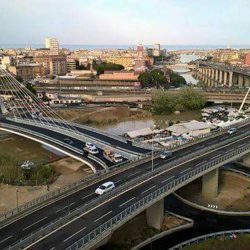 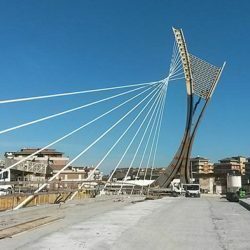 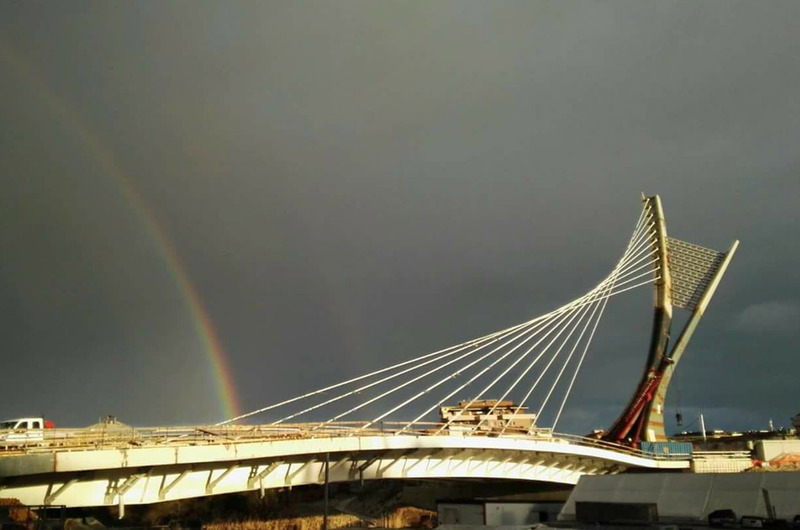 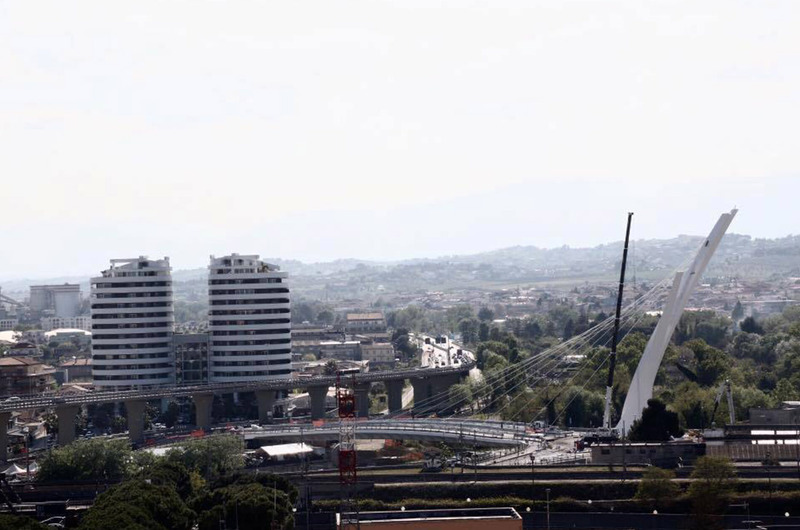 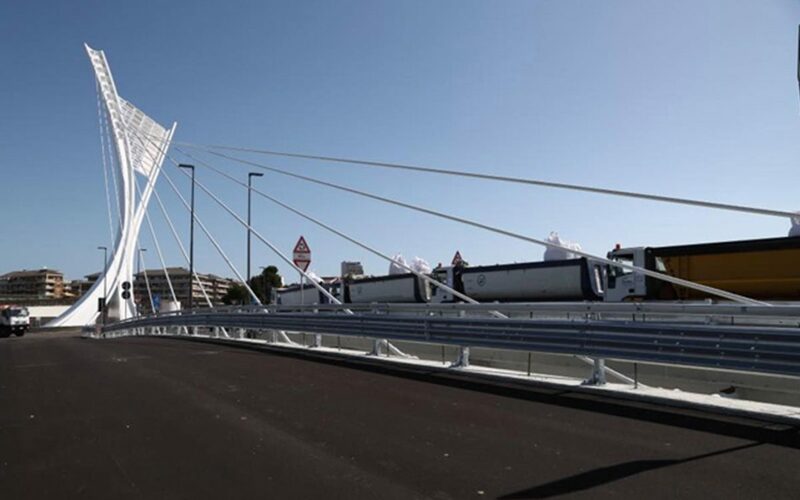 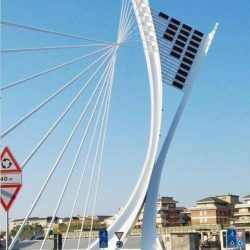 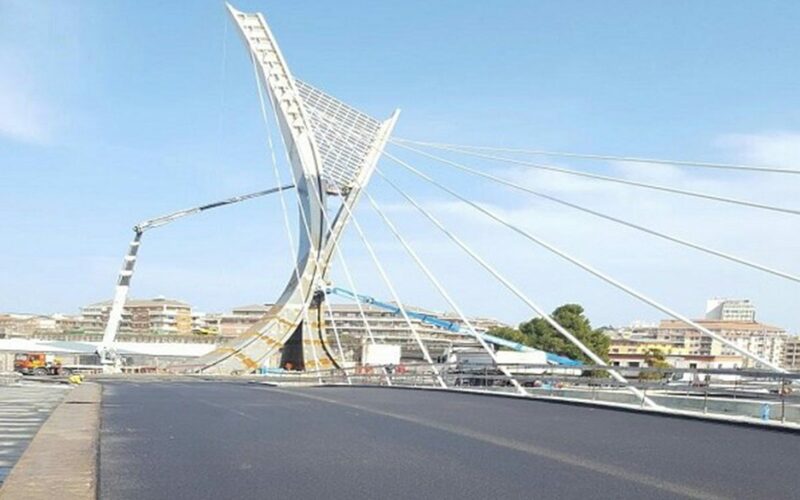 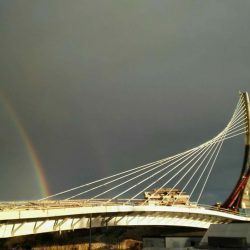 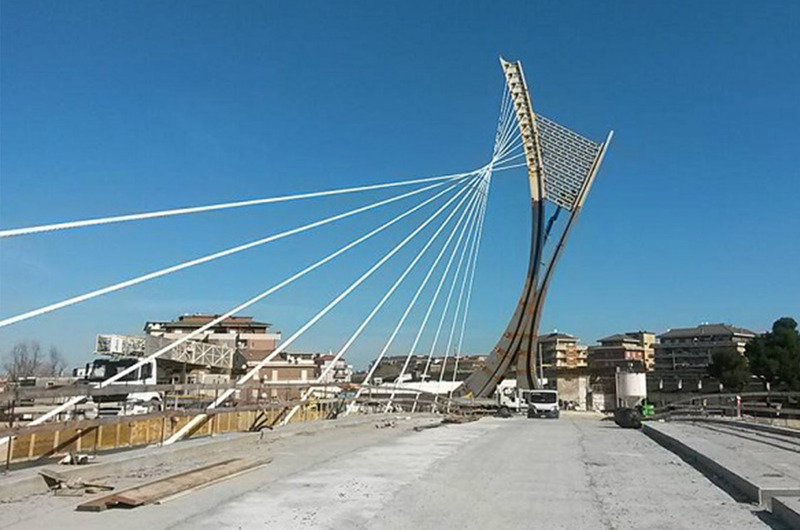 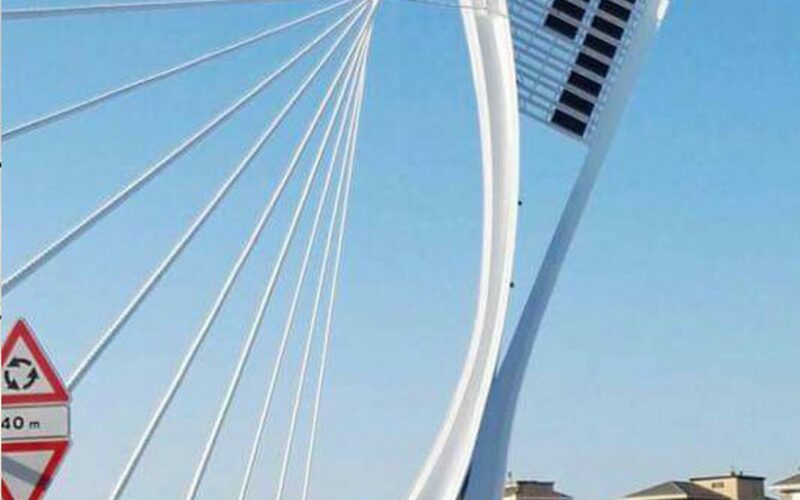 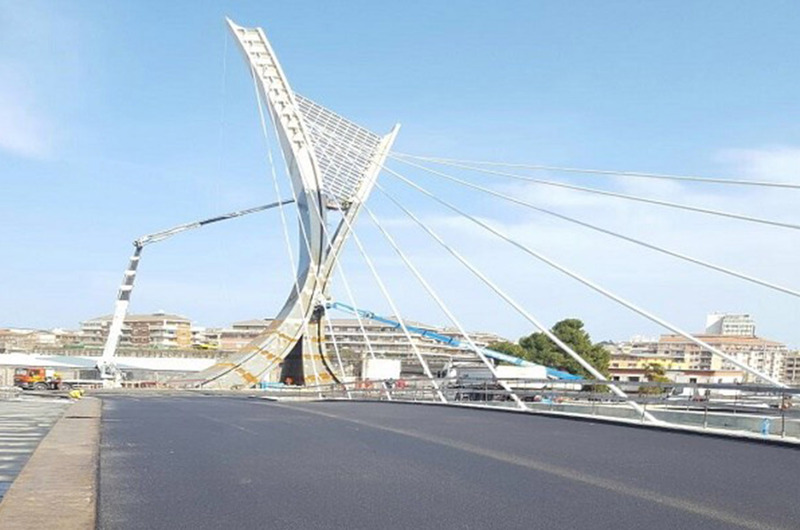 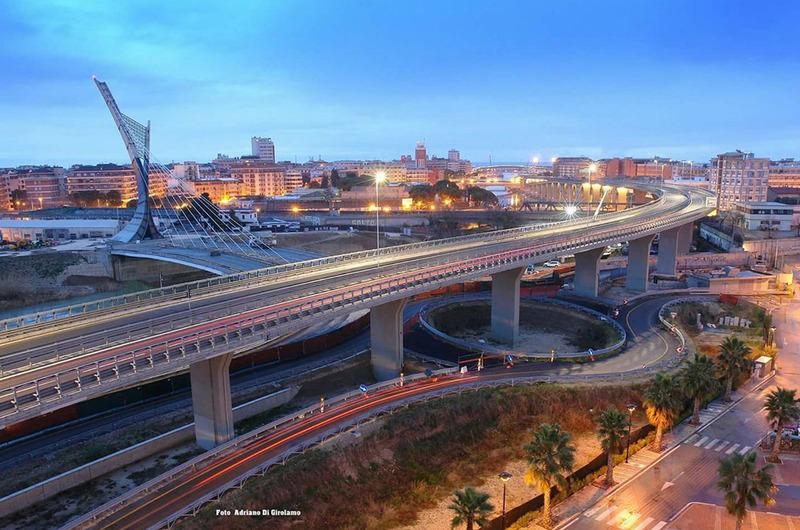 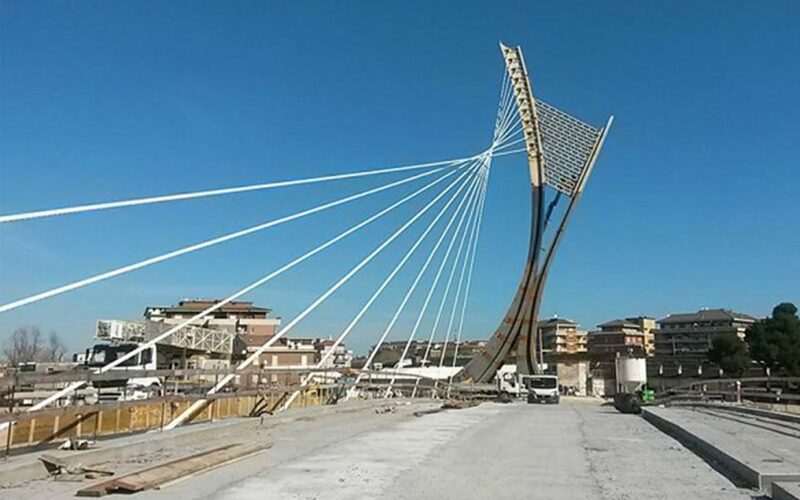 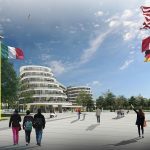 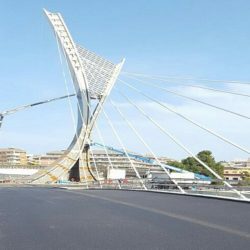 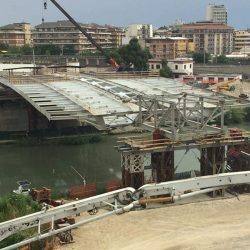 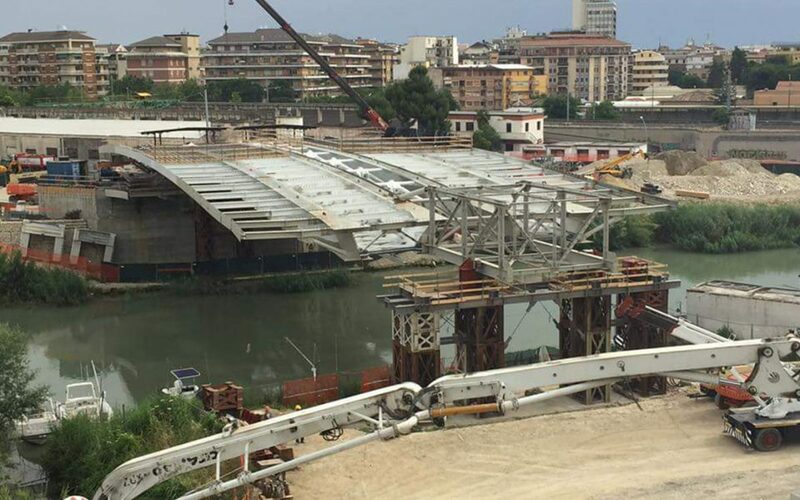 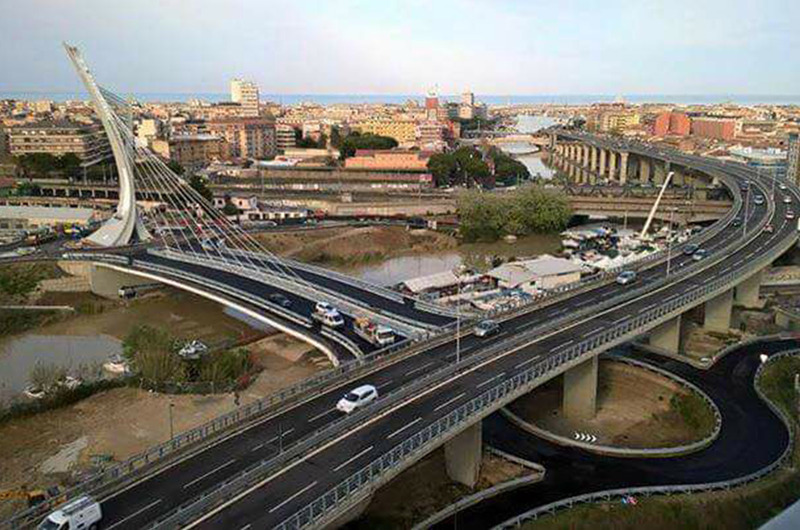 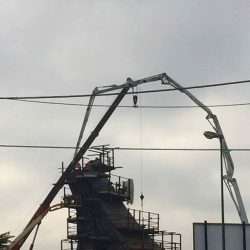 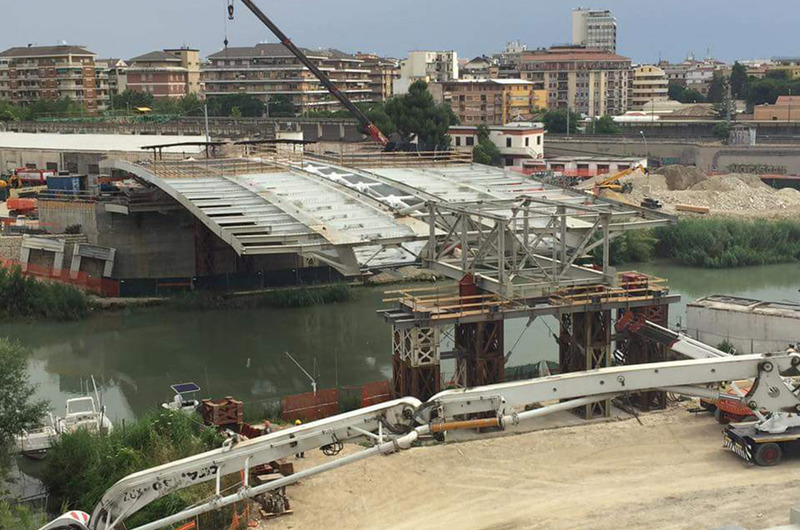 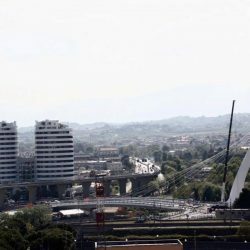 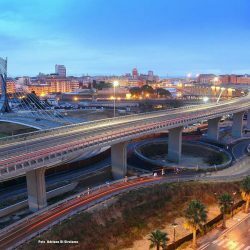 The new bridge over the river Pescara will be built in the north-western area of the town enabling a considerable improvement and decongestion of the urban traffic. 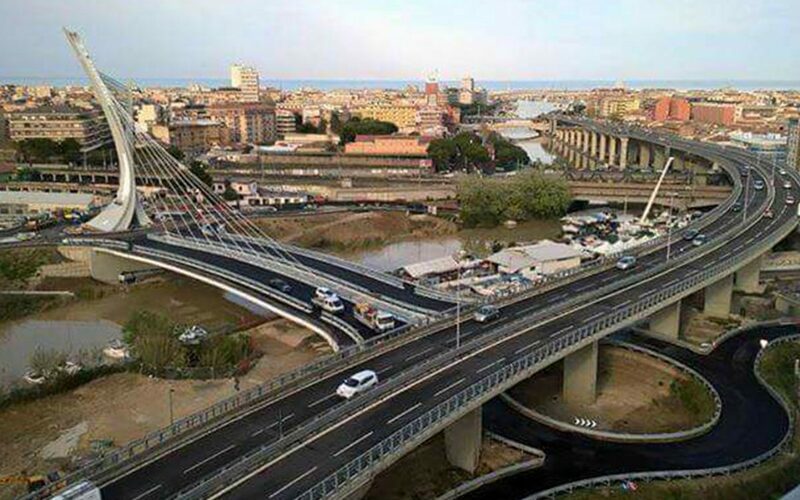 Thanks to its connection to the motorway link, a natural extension of the ROMA-PESCARA motorway, the bridge will facilitate the access into town. 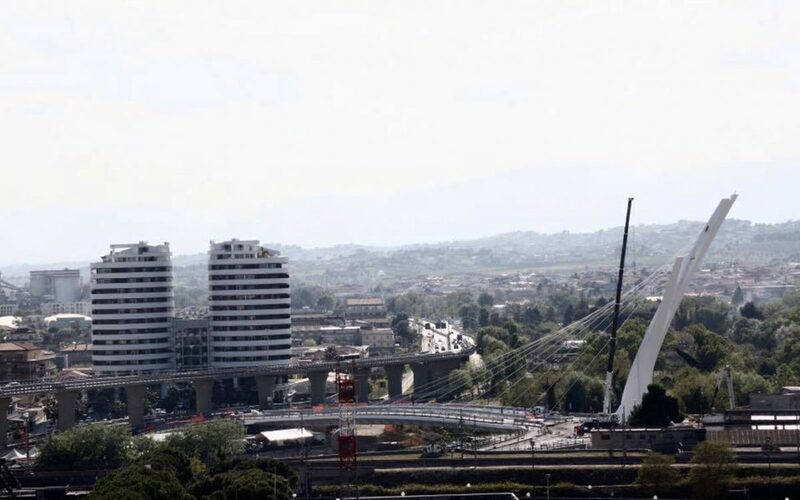 The bridge has a total length of 95 m and a total width of 28 m including two decks of 12.35 m with a central span of 3.30 m. It is a cable-stayed bridge with a main tower 50 m high with stays attached to it, and a secondary 37 m high tower intersecting the first one at one quarter of its height. 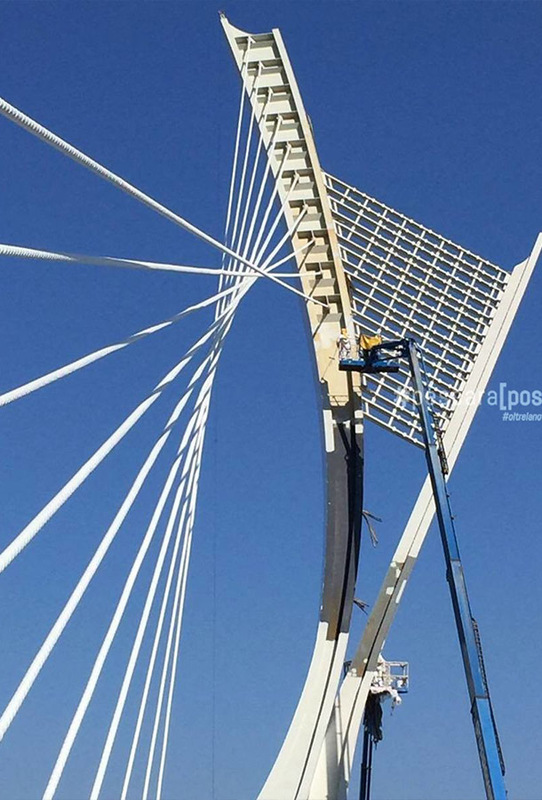 Between the two towers there are photovoltaic panels to provide illumination to the bridge. 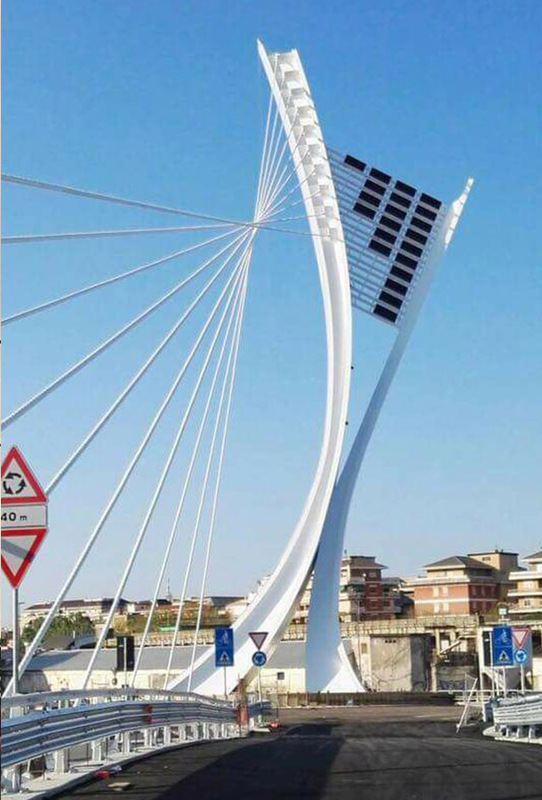 The antennas are curved and inclined both laterally and toward the bridge axis, in opposite direction to the longitudinal axis of the deck. 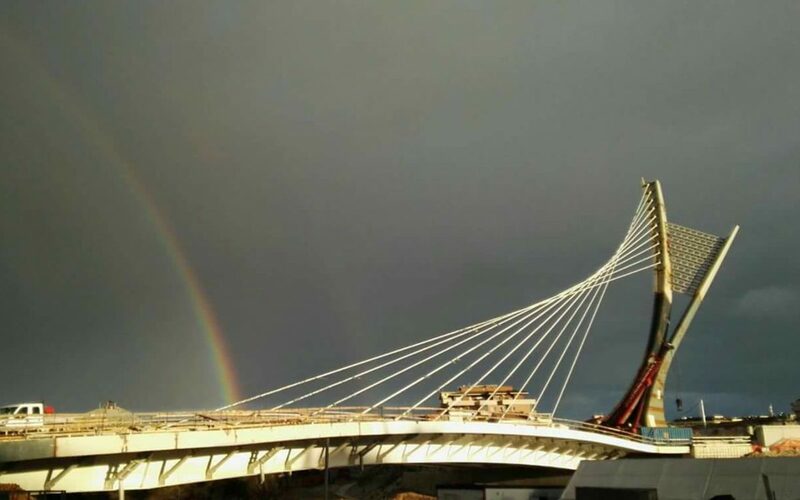 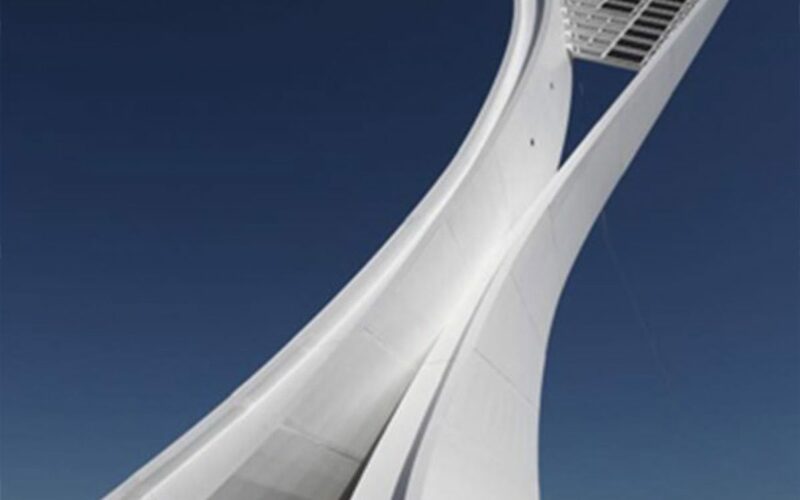 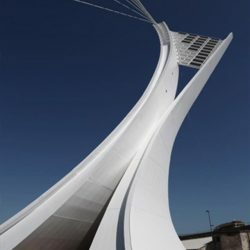 This structure, that gives the bridge a considerable aesthetic appeal, has required an accurate sizing of the stays considering the particular geometry of towers and the bridge deck. 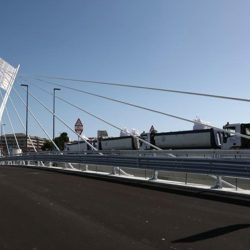 The bridge deck is made of metal and composed of two steel casings connected in the centre by a netted frame, which is also the hooking point for the cable stays supporting the bridge. 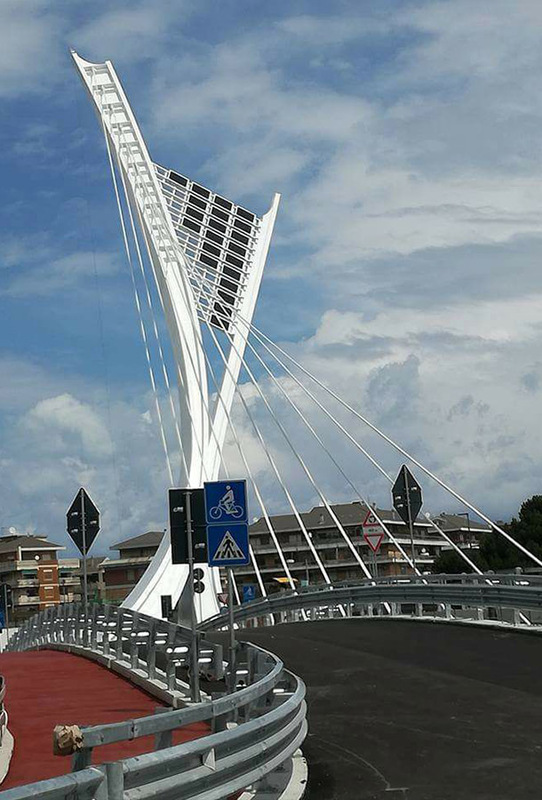 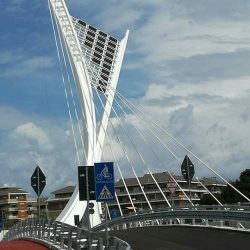 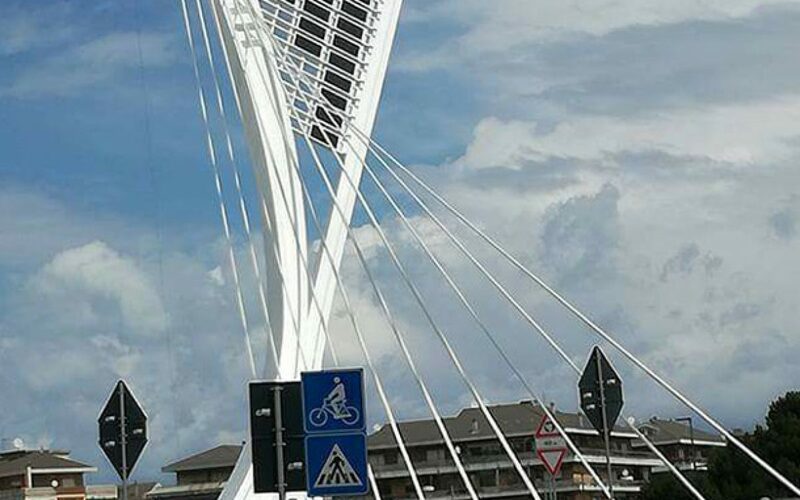 The bridge is equipped with a cycle path, a pedestrian lane and two roundabouts at either end of the structure for the connection with the road network. 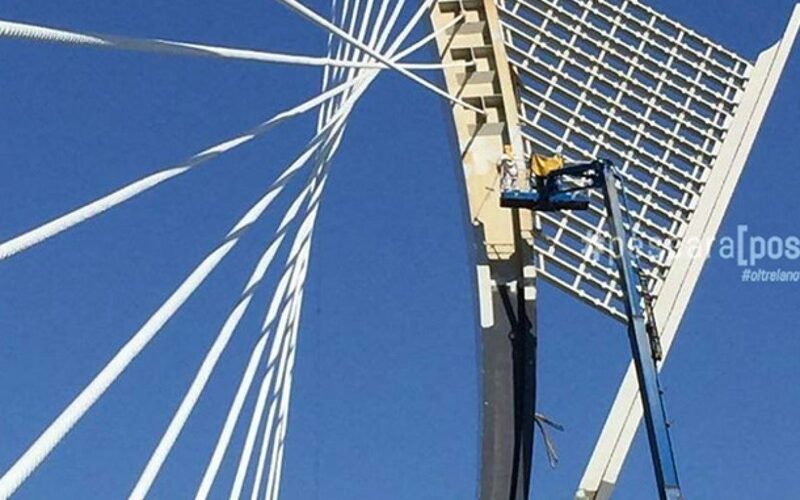 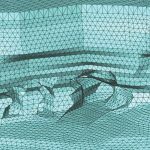 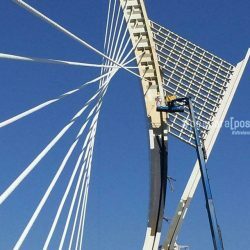 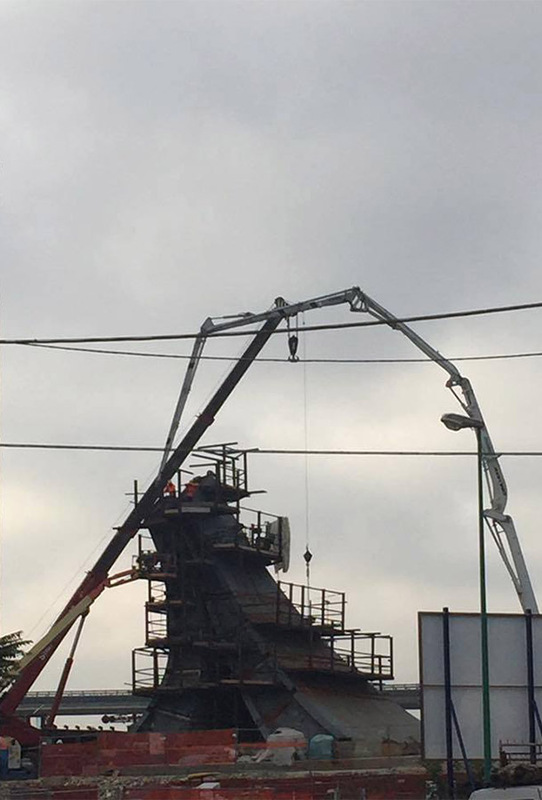 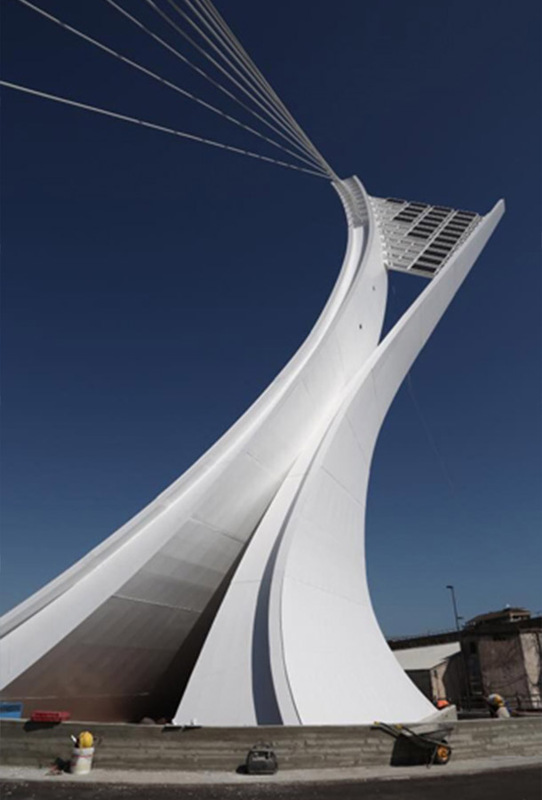 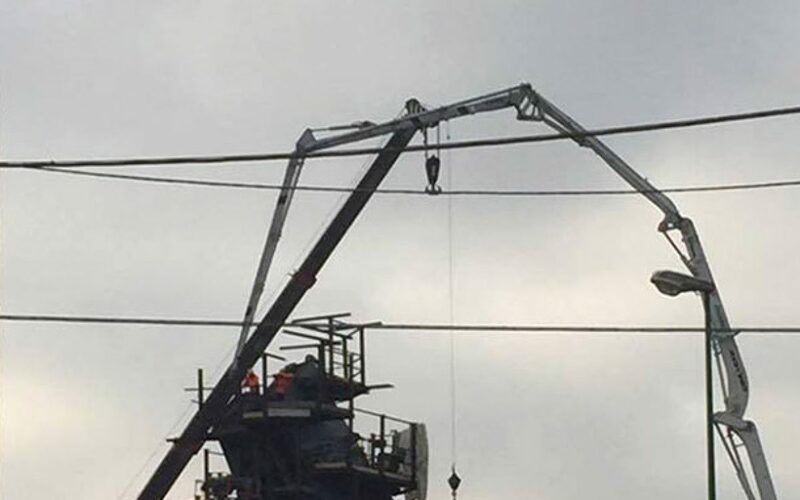 Static and dynamic load tests have confirmed the extreme solidity of cable-stayed bridges.